C'mon, we're also a little bit city folk at heart, so we wanted to make sure we'd still have some of the access and convenience of a city, but with the ability to hop into the mountains at the drop of a hat. Not to mention being within five hours in any direction of some of the most beautiful places in the entire country. And, can we say world class trail running? Hello Wasatch Mountains, you are my new friends! :) (Heck, I may even learn to really enjoy downhill skiing and not be such a scaredy-cat. But let's not get ahead of ourselves.) And, we've got such a great network of wonderfully amazing friends already in the area, so what's not to love? May 31st we are leaving the Chicago skyline in our rearview mirror for good. That's gonna be weird...and totally thrilling, exciting, terrifying and motherloving awesome. I'm pretty sure I'll cry. It happens This has been my home for sooooooo long. But, it's time. June and July will be spent taking in every last bit of some of the magnificient west's greatest treasures. We'll be modern day vagabonds, but not quite as drifty...and with much better hygiene :) We do have some places to be at certain points, including crewing/pacing for Gretchen at Hardrock in July, so we do have a very blurry plan. But otherwise, we'll be residents of the road; choosing our own adventure along the way. 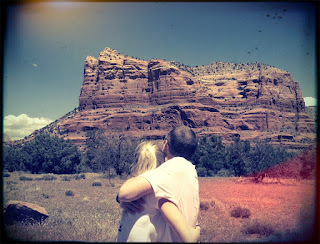 We do have a soft spot for americana, small towns off the beaten path, coffee shops with funky names and mismatched furniture, book stores, folks who still wear overalls, folks who call themselves 'folks', brick streets, towns with names that make you giggle, red rock formations and trails that go for hours. Where will the road take us? We shall see! I'm going back to school! I've just missed those textbooks and A & P flashcards too much ;) Nothing too exciting yet, just catching up on some prerequsites before applying into a program for 2013. This was really the main boot-kick to the pants. We knew school was a big priority...but we also knew relocating west was another big priority. So, why not do both at the same time? That's just how we Dunmores roll. It was hard giving notice at work...I have three completely awesome attorneys that I've been working for for the last five years (no, they don't read this blog as far as I know so I'm being honest, for the record :)), so it's hard leaving a truly wonderful professional environment...one which I would have easily retired from many many years from now. But, we cannot ignore the call of the mountains. It is loud, persistent, and quite lovely! It could be a flop, but I sincerely doubt it. We just aren't 'flop' people :) We are make it happen people. There have been just a couple naysayers (expected), but otherwise peeps have been enormously supportive and encouraging. And for that, I say thank you! Think on how often in life you have an opportunity like this. I bet it's not often. So when we saw it approaching we decided to take the leap (a huge long-jump-over-our-universe-landing-in-unknown-territory kind of leap...over burning coals, spikey things, naysayers and steaming piles of lima beans). It's intense. And downright cool. And now back to our regularly scheduled running excitement. During your vagabondery come up north to MT. Oh, and yes, take up skiing. It is good to be well-rounded and have more than one interest. Wow, Paige, I don't know what I'm more envious of ... moving to Salt Lake or pacing Gretchen at Hardrock. I am so thrilled for you guys! You will love SLC, it's perfect for you!! congrats you guys; i'm super jealous - the mountains are awesome, utah is great & traveling is great. admire the spirit. you can always move back to chicago if you get sick of having tons of fun...hahaha. enjoy! Sounds like a great plan! Looking forward to reading all about it. Pics with overalls would be good. Good for you guys. Sure to be tremendously wonderful. When will you have new digs in SLC? Perhaps you can make it to Tahoe on your Keroacian vagabondery? Super excited you guys will be at Hardrock! 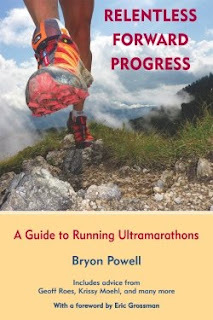 The 2012 Runner's manual just came out, so I am scoping it and will email you both with thoughts soon. if you need a new attorney to work for in SLC - I know a few there. good luck! Utah is home to many in my family. The best part about Utah - everything from Cedar City South and Moab. I could live in Zion National Park. Yet, I do like Logan and Cache Valley area, and most of the Canyons along the Wasatch Front as well. @Slomo, I may possibly take you up on that if school doesn't work out as I hope! :) Thanks! Life is short, and life is big. We have to live as much as we can in the short time we're here, you have to be where you're happiest. You'll be my "neighbor" now, just one state away! Looking forward to running with you! Many dreams have been laid into the saying, "Go west". I liked your comment about not being flop people. So many are, but then again, you don't find those people in your lifestyle. Enjoy the journey, see life as people live it everyday. Safe travels and a blessed experience. Well, I just saw this, and I must confess to a bit of disappointment in losing a Chicago-based blog (and now it's unlikely I'll ever see you on the local roads and trails). However, your new adventure sounds very exciting, and fulfilling, and an utter dream. I have loved visiting Utah, so you're going to a great place. As for your decision, it's the kind of thing I look back on and wish I could have done, so I applaud your guts in leaving the familiar. Best of luck to you both. Just caught up with this big news! Congrats! I had a hard time saying my goodbye to Chicago last year, but it's easier to leave a place when something (or someone) you love is in the new place! All the best to both of you!